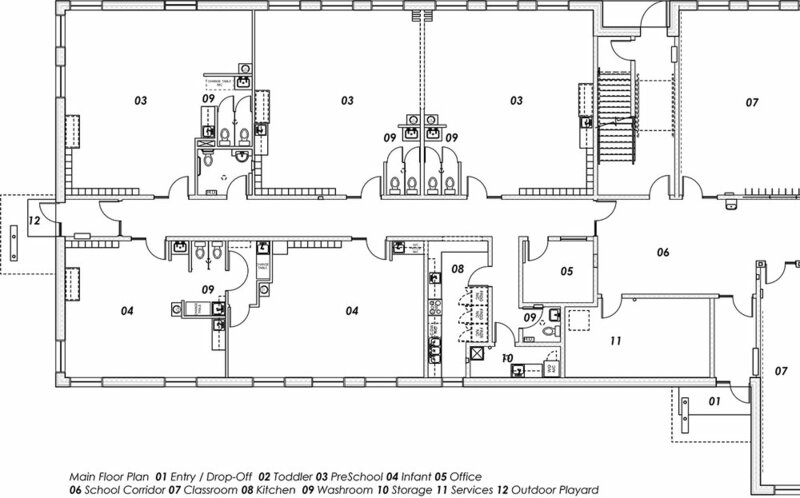 École Rivière Rouge Daycare | prairie architects inc. 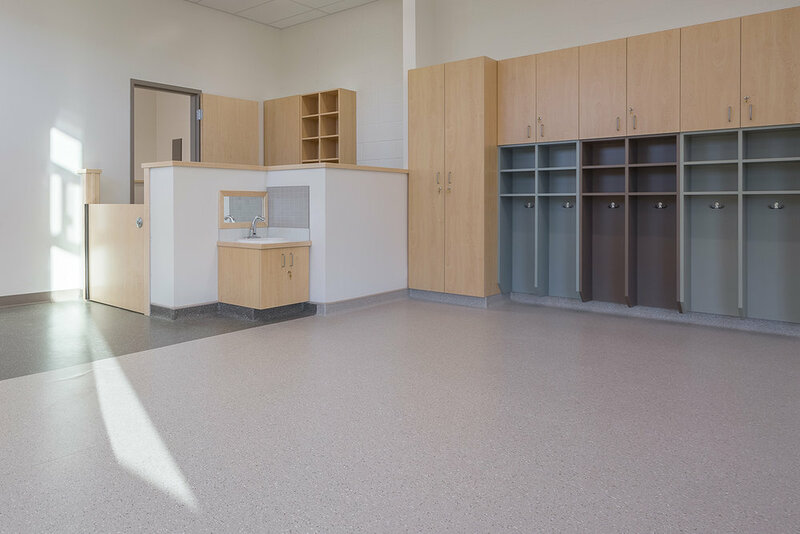 Located in the Riverbend area within the Seven Oaks School Division, the 51,562 square foot building incorporates the expanded early learning and child care centre into the new K-5 French Immersion school. 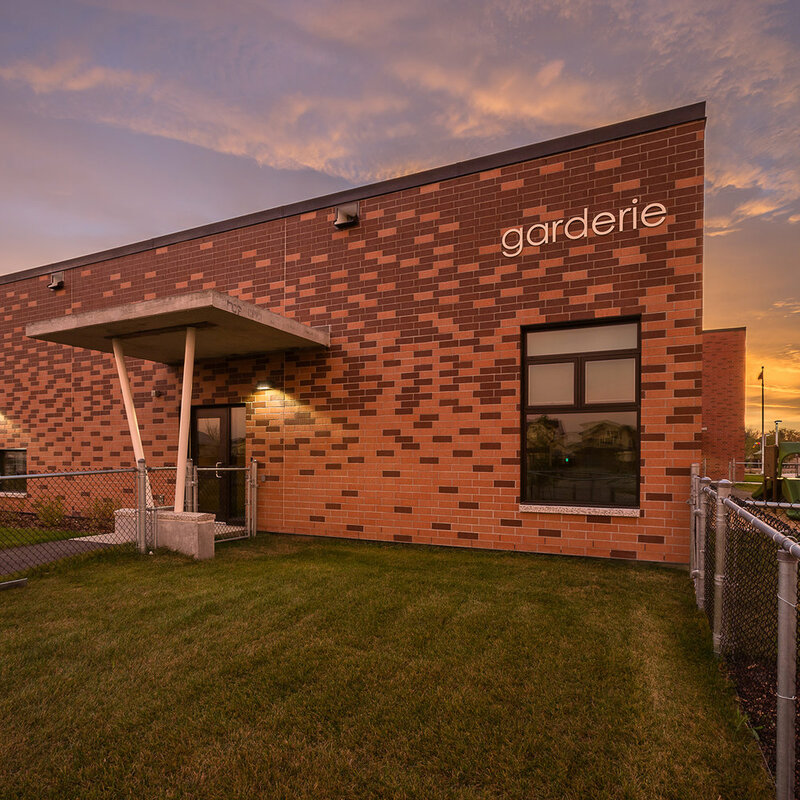 École Rivière Rouge is targeting LEED Gold certification and incorporates sustainable design features in a visible and educational manner. 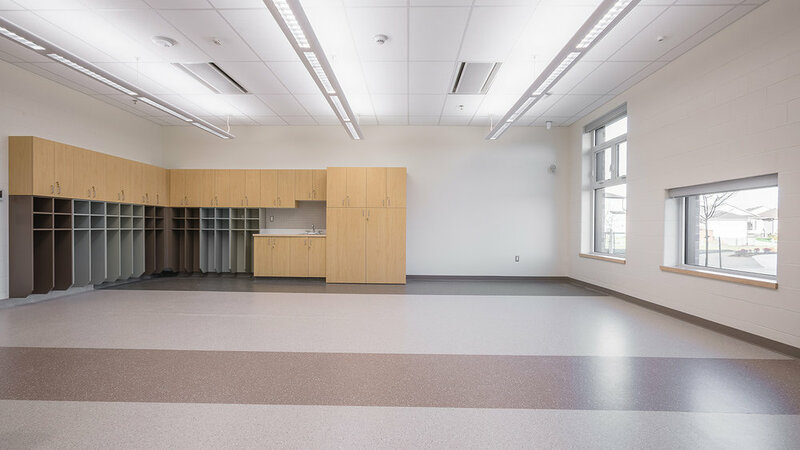 This new generation of school serves dual-function as a community centre in the evenings with a design that supports and creates a welcoming environment for parents and community members in recognition of the community’s diversity and cultural traditions. 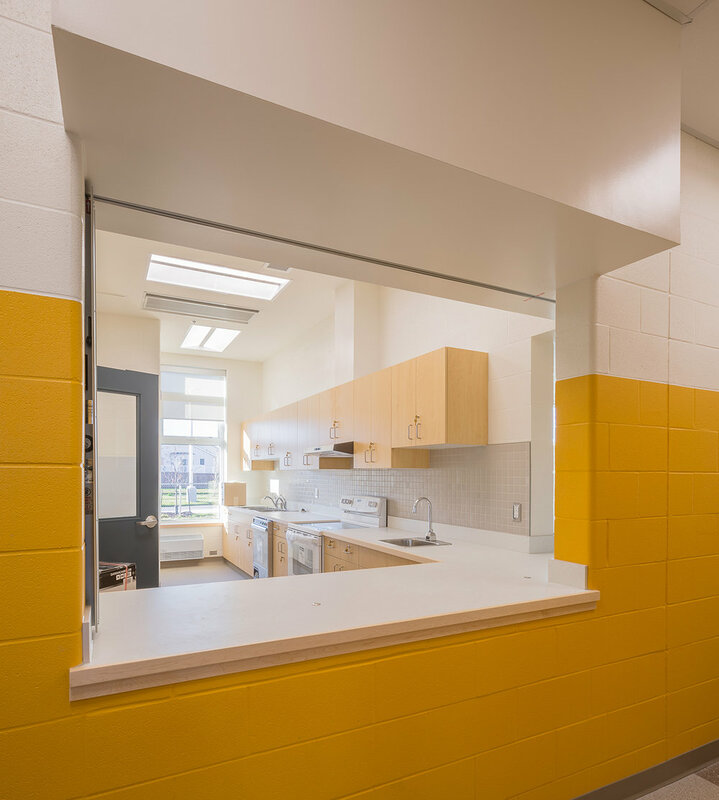 During non-school hours, the classroom wings can be locked off and the school can function as a community space with access to the gymnasiums, library, kitchen and open commons space. 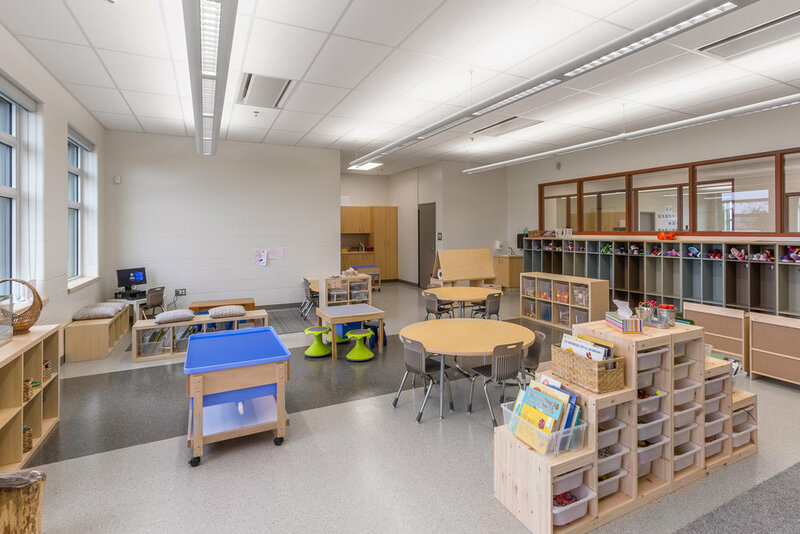 The school is designed with active learning in mind and inherent flexibility, which supports a variety of activities and opportunities for learning. The school opened in the Fall of 2016.